As a system, apartheid focused on separating South African Indian, Colored, and African citizens according to their race. This was done to promote the superiority of Whites and to establish the minority White regime. Legislative laws were passed to accomplish this, including the Land Act of 1913, the Mixed Marriages Act of 1949, and the Immorality Amendment Act of 1950—all of which were created to separate the races. Under apartheid, pass laws were designed to control the movement of Africans and they are considered one of the most grievous methods that the South African government used to support apartheid. The resulting legislation (specifically Abolition of Passes and Co-ordination of Documents Act No. 67 of 1952) introduced in South Africa required black Africans to carry identity documents in the form of a "reference book" when outside a set of reserves (later known as homelands or bantustans). The pass book was similar to a passport in that it contained details about the individual, including a photograph, fingerprint, address, the name of his employer, how long the person had been employed, and other identifying information. Employers often entered an evaluation of the pass holder's behavior. As defined by law, an employer could only be a White person. The pass also documented when permission was requested to be in a certain region and for what purpose, and whether that request was denied or granted. Under law, any governmental employee could remove these entries, essentially removing permission to stay in the area. If a pass book didn't have a valid entry, officials could arrest its owner and put him in prison. Colloquially, passes were known as the dompas, which literally meant the "dumb pass." These passes became the most hated and despicable symbols of apartheid. Africans often violated the pass laws in order to find work and support their families and thus lived under constant threat of fines, harassment, and arrests. 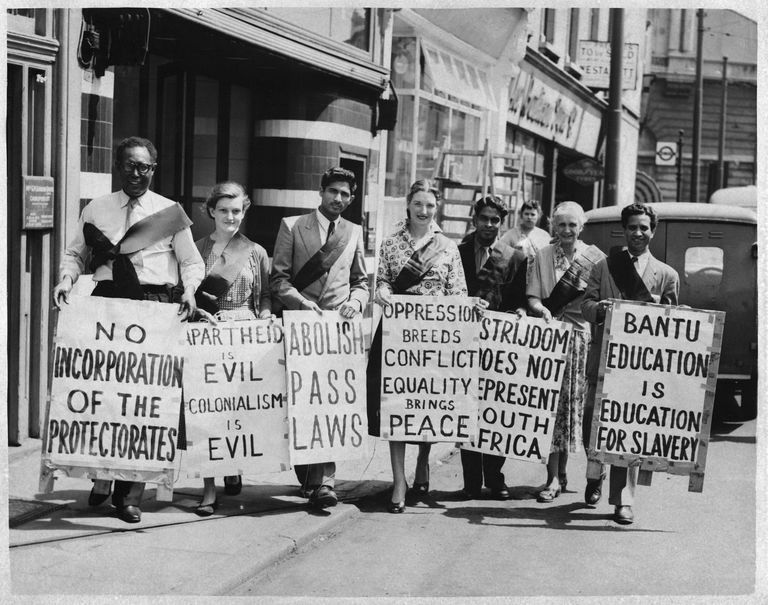 Protest against the suffocating laws drove the anti-apartheid struggle—including the Defiance Campaign in the early '50s and the huge women's protest in Pretoria in 1956. In 1960, Africans burned their passes at the police station in Sharpeville and 69 protesters were killed. During the '70s and '80s, many Africans who violated pass laws lost their citizenship and were deported to impoverished rural "homelands." By the time the pass laws were repealed in 1986, 17 million people had been arrested.